Incoming Secretary of State John Kerry plans to include stops in the Middle East as his first official trip, according to a US official. The trip, which is expected as early as mid-February, is likely to include stops in Israel and Egypt, the official said. 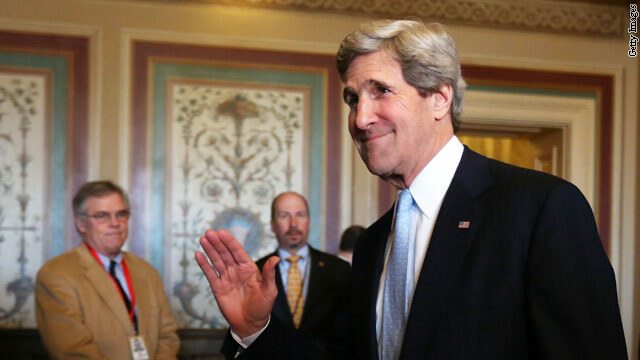 A western diplomat said Kerry has already been invited by some European capitals to visit later this month. Kerry indicated interest in going, but did not commit given he has not been sworn in yet. Kerry is on the Move? I thought that Kerry already Moved up when he divorced his millionaire wife to marry his Billionaire wife . Please check this out, you won't regret it.